The top Airbnb listings for 2016 have been announced, and guess which dwelling made the list? None other than the unique Pioneertown architectural marvel I first wrote about back in March 2013! 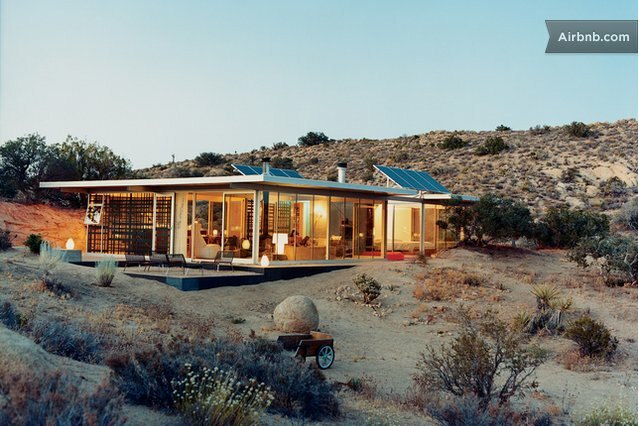 Recently noted by Dwell as one of the the best homes in America, this stunning off-grid construction reminds us all of the natural glory that stretches out before our very eyes, pulling the outdoor elements in for both aesthetic and energy. 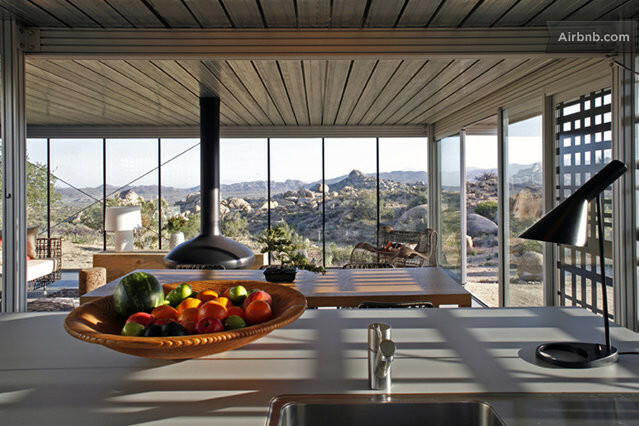 Designed by Taalman Koch, the home utilises a modular, prefabricated system to cut down on waste and labor, and beautifully melds the indoors with the surrounding landscape, all while maintaining a footprint as light as a feather on the delicate site. Settled within one of the most unique, naturally formed areas of the Golden State, Pioneertown sits nearby Joshua Tree National Park and the Coachella Valley. The area is remote, serene and free from distractions, making it the perfect site for a modern refuge from the city. Light natural finishes and ample color daylighting blur the lines between the indoors and out and give the home a large, open and free-flowing feel despite its small size. Usually homes like these are reserved for the rich and famous but for a surprisingly modest fee, you can rent it out via AirBnB. Brings a whole new meaning to sleeping under the stars..